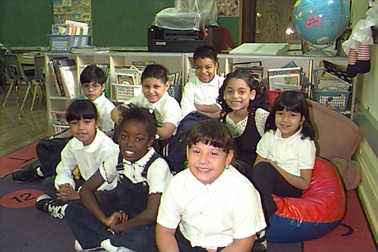 We envision our children as life long learners who will work cooperatively to create a respectful multicultural society. Ultimately, we are striving towards the highest possible quality education for all of our students. Since we believe that all our students learn from one another, our challenge is to create meaningful, problem-based scenarios within a collaboratively structured environment, in order to stimulate students to collectively achieve our vision. Special education students shall be provided with the least restrictive social, academic and emotional environment through an inclusive school setting to assist each student to reach his/her full potential.